Should you grab the AED for an overdose? It’s no secret opioid use in the US is on the rise. In fact, according to the CDC, more than 30,000 people died of an opioid overdose in 2017. So how do you know if someone is unconscious and not breathing due to an overdose or due to sudden cardiac arrest? The signs are similar but different, especially at the onset. The treatments, however, may ultimately be the same: if someone is not breathing, start CPR and grab the AED. In non-opioid related sudden cardiac arrest, a person will lose consciousness and collapse with very little warning. 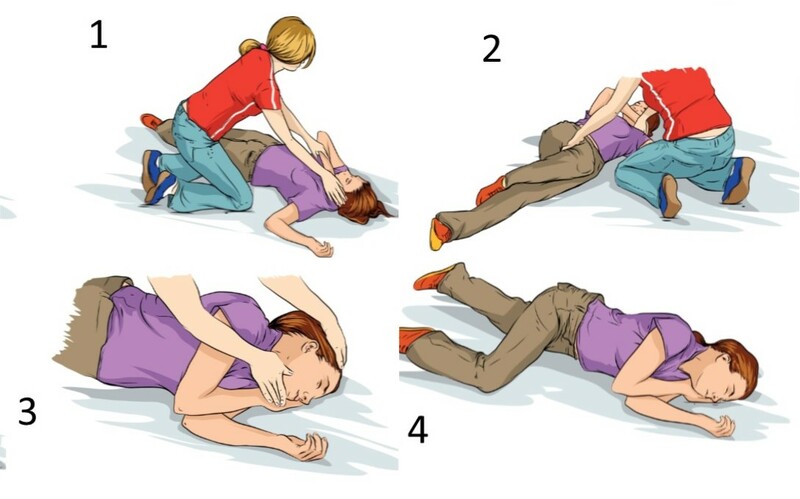 CPR should be started immediately after the person collapses, and it is discovered they not responsive and not breathing. They may display agonal breathing, which will look like they are gasping. This is not effective breathing and CPR should not be delayed. In an opioid overdose, the person may appear disoriented and “out of it”. An opioid overdose turns deadly when the person’s respiratory system is deeply depressed by the effects of the opioid and they stop breathing. Shortly after the respiratory arrest, a person who has overdosed on opioids will go into cardiac arrest. They may display cyanosis (blue skin) as their respiratory drive slows, and this will worsen when breathing stops. But what if you come across someone who is already unconscious and you aren’t sure which condition is presenting? As always, call 911 and assess the scene to make sure it is safe to approach the person. You should then check for responsiveness and breathing. If the person is not breathing and not responsive, start CPR and call for an AED. CPR is critical for treatment of both a pulseless overdose and sudden cardiac arrest and should be performed as soon as possible. In addition, grabbing and attaching an AED will not do any harm to someone who does not need it, as it will not advise or deliver a shock unless a person’s heart is in a shockable rhythm. It will, however, keep a rescuer on track with their CPR efforts. Naloxone (brand name Narcan) can also be administered if it is available and there is suspicion of an overdose. If it is an opioid overdose, naloxone may reverse the effects of the opioid. If the person is in cardiac arrest not due to opioids, naloxone carries very few side effects and will not harm them. As stated in our article on naloxone (Narcan) use, you should be prepared to deal with a person in immediate withdrawal if you have used the drug to reverse an overdose. Make sure you have a plan for if they become combative and your safety is jeopardized. Remember, as a Good Samaritan, your safety is also important. Thank you for your comment. The American Heart Association recommends Nalaxone administration after CPR has been initiated with a minimum of 30 compressions performed if it is suspected the patient has overdosed. Good post. Thanks for these reminders. As per Rutgers/ Robert Woods Johnson Medical School. If Naloxone is used for an Overdose, and its not an overdose. Nothing will happen. It will not effect the patient. CPR must be started immediately if no pulse.